FIRST, Jim Wilson is stepping down as editor of the Sunday Mail, after seven years in the post. He has been with the paper for 16 years and is taking a voluntary redundancy package. Says trade title, Press Gazette, here, he is “understood to be considering a number of options, including a move into public affairs”. He was Glasgow editor at The Scotsman before joining the Mail. Before that, he was a reporter at the Daily Record and crime reporter at The Scotsman and also the Edinburgh Evening News. MEANWHILE, as also widely reported, Magnus Llewellyn has joined The Times (Scotland), as editor, having been, until last week, editor-in-chief at the Herald & Times Group. At the Herald & Times Group, he was been succeeded – in an acting capacity – by Graeme Smith. On the move yourself? 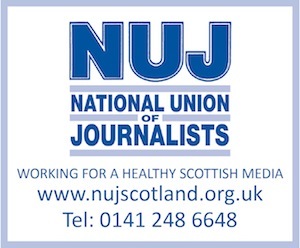 Feel free to share it with allmediascotland readers, by sending details here.